Given half of marriages eventually end in a divorce and wedding ceremonies last for at most 12 hours in America, it’s wise to spend as little as possible just in case things don’t work out. Despite such pure logic, the average cost in America is around $33,000 according to The Knot’s 2017 Wedding Survey. If you live in Manhattan, the average spend is closer to $77,000. In comparison, San Francisco weddings only cost $39,329. With the median household income in America at around $60,000 according to the US Census Bureau, what is going on with couples who are willing to spend roughly 70% of their annual after-tax income on such ephemeral pleasure? Given I came up with engagement buying rules thousands of love birds have followed since 2010, it’s only appropriate I come up with wedding spending rules for financial freedom. Controlling wedding costs is arguably much more important than overspending on an engagement ring, because at least with the engagement ring, it can be reused (aghast! ), resold or passed down. I’m certain if you follow my wedding spending rules, your marriage will last longer and you’ll have more wealth than if you spend what the average American does on a wedding. If for some reason your marriage ends before the average duration (eight years), or you end up having a lower household net worth for your age than the average, then you can simply blame each other for all your mistakes. Here are my top wedding spending rules to follow. 1) Spend no more than 1% of your newly combined household income. If he makes $60,000 and she makes $80,000, then they should spend no more than $1,400 on a wedding. If their newly combined household income is $1,000,000, then they can ball out on a $10,000 wedding. Only when couples starts earning $3,000,000 or more should they come close to spending what the average American spends on a wedding. As you can see from the chart below, the real median household income in America is about $60,000. We’ve just surpassed our 1999 highs. That’s almost 20 years of no income growth folks! Therefore, if the typical American follows my 1% rule, they should limit their wedding cost to roughly $600. Causal weddings in your backyard are not only intimate but cost effective. 2) Spend no more than 1% of the value of your combined pre-tax retirement plans. Let’s say at age 30, she has a Financial Samurai-recommended $150,000 in her 401(k), and at 35, he has a Financial Samurai-recommended $300,000 in his 401(k); this couple can spend up to $4,500 on a wedding. By drawing the couple’s attention to their retirement savings plans, there will be a natural tendency to spend less given spending more means a later retirement. The more you hate your job, the less you will end up spending on a wedding as a result. 3) Spend no more than 50% of your combined side-hustle gross income. Let’s say the couple has a combined W2 gross income of $120,000, but also makes $20,000 selling t-shirts and trinkets online. The couple can now spend up to $10,000 on their wedding. They won’t, because everybody who side hustles knows how exhausting it can be to make extra income outside of their day job. But they can because they are so far ahead of everyone else who relies on only one source of income to survive. 4) Spend no more than 10% of your annual passive income. Side-hustle income requires work. Passive income, on the other hand, requires little-to-no work at all once the investments are made. This is why everybody needs to focus on building their after-tax investment accounts for financial independence. If the couple happens to save and invest aggressively for eight years to generate $30,000 in annual passive income, they’re free to spend $3,000 on a wedding. As a gut check, I’d be willing to spend up to $20,000 a year on a wedding based on my current passive income that took 19 years to build. But any more is a no go, no matter how much I care for my guests. 5) Spend no more than $1,000 per year you’ve known each other. If you guys started dating in college at 21 and decide to get married seven years later, you guys can spend up to $7,000 on a wedding. If you guys started off as work place friends at age 25, married other people, got divorced, and decided 20 years later you were always meant to be together, then spending up to $20,000 is more digestible. When you’ve already gone through the ringer once, you presumably have a better idea of what you want with your superior earnings power in your early-40s. By then, you probably won’t want to spend $20,000 because you have less people to impress. BONUS: Spend as much as your respective parents want to spend. If a couple is lucky enough to have wealthy parents who love them so much to cover all the costs of their wedding, then they should go right ahead and accept their generosity. If it turns out the newlyweds accepted their respective parents help in spite of the fact their parents are financially struggling, then the married couple will simply have to financially support their parents for the rest of their lives. I’ve always taken the view that as adult children, we should actively try to give back to our parents, not take from our parents after they spent 18 years taking care of us. I’m not even two years into fatherhood and I’m already thinking about taking a vacation and going back to work. If my son doesn’t insist on being a man and paying for his own wedding, I’m going to send him this post and podcast. We’ll pay for an auxiliary expense. You’re obviously free to spend more money on your marriage if you want to, especially if you’re rich. But spending $33,000 for a wedding is truly a ridiculous amount for the average American household who only earns about $60,000 a year. If you annualize the cost of the wedding, the cost is $12,045,000 ($33,000 X 365 days)! And goodness forbid someone spills red wine on the bride’s couture wedding gown, a drunk friend gives a terrible speech, or thunderstorms wash out the outdoor venue. If your wedding isn’t perfect, then you’re really going to be upset. If you follow at least one of my wedding spending rules, you’ll be able to get your marriage off to a great financial start. Not only can you use the money saved to buy a house, pay your life insurance annual premium for the year, make your future child a 529 millionaire, or bolster up your respective retirement accounts, you’ll likely have much less money fights because you’ll have more of it. 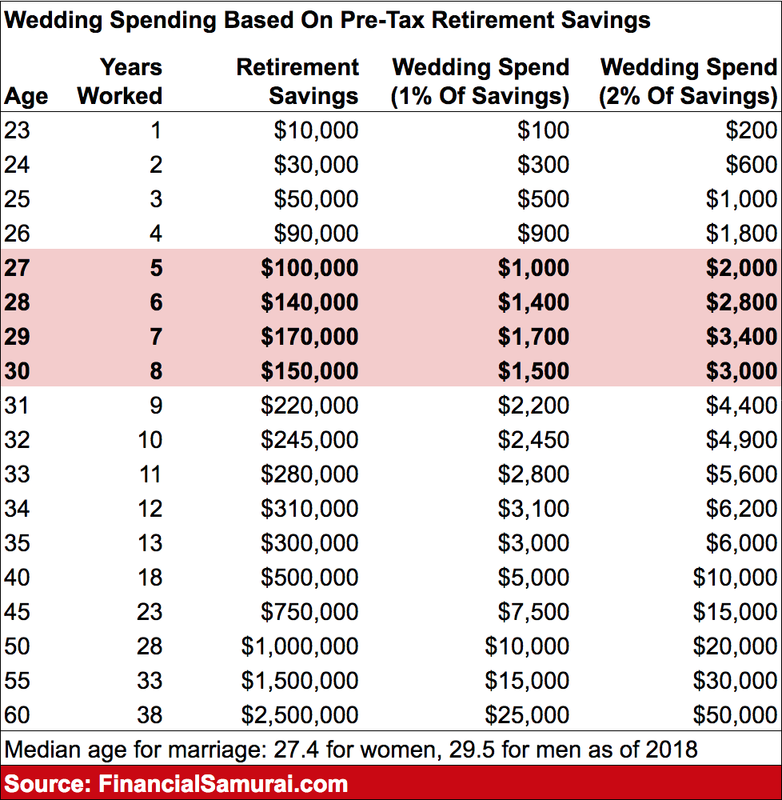 As I review my wedding spending rules, my favorite is #2: spend no more than 1% of your combined pre-tax retirement accounts on a wedding Financial independence starts with saving, and the easiest thing everyone can do is max out their 401(k) and IRA. Based on this rule, the average responsible American couple should spend between $2,000 – $3,000 on their wedding. What makes a great wedding is the presence of your friends and family. You don’t have to spend a small fortune trying to impress them because all they want to do is celebrate you. Readers, why do people spend so much on weddings that last 12 hours at most? Who is it that really pushes to spend so much for a wedding? How did we end up convincing ourselves about this cost? What are other large expenditures average Americans pay that prevent them from achieving financial security? I’ve covered cars, engagement rings, weddings, houses, and private education so far. It’s never made sense to me that some couples spend 10’s of percent of their annual income on a one day event. I’ve always thought that this money would be better spend on a house deposit, or something so that the couple could start their life together. My wife and I got married in 2010 when the economy was still in the toilet. We had no money and I refused to spend what little we had on a wedding. Instead we got married on vacation that we already had planned in the Caribbean, put the cash down on a foreclosed home and remodeled it extensively. Best decision we made. We are into it for about $250k it’s worth 400k and we owe on it $95k! 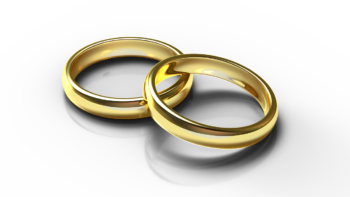 It’s funny some couples we know said things to the effect that they felt “sorry” for us for not having a wedding, but the sweetest things… those couples’ marriages are on the rocks now and one is already divorced! I’m leaning more towards a very intimate wedding. Would rather spend money towards a house versus a wedding. I love these because they are true and they really get people annoyed. Have you seen how much money people spend on toddlers birthday parties? If you’re spending 2k on your 2 year olds birthday party to have designer cake pops and professional photography when you make 45k after taxes, then 30k on a wedding almost sounds reasonable. At age 30 my husband and I got married at the courthouse. We went on a medium extravagant honeymoon that my parents paid for. At the time our combined income was about 180k and our net worth was around 500k. We are happily married 5 years later. I think the hard thing about weddings is that they’re not just a financial decision. One of the main functions of a wedding is to communicate something about the marriage. Weddings can have other purposes, (making memories, bringing people together, creating beauty, etc.) but they will always inherently communicate something about your values, both to each other and to your guests, and it’s good to think about what your decisions say about marriage. In a sense this is true about all financial decisions (they reflect your priorities and values, and they communicate something about what kind of person you are). But as a public celebration, weddings are especially heavy on communication. – Can be done for positive reasons and communicate positive things, like “I care about planning for your long-term well-being”, and “what matters is our commitment to each other, not how conspicuously we display our love”, and “we trust our guests to recognize that we care about them by including them in our special day, and that we don’t need michelin-start dining to prove that we care”. – Can be done for negative reasons and communicate negative things, like “This marriage isn’t important enough for me to spend my hard-earned money on”, or “we’ll probably end up divorced anyway, so better not go overboard”, or “we’re too miserly to spend money on our guests”. – Can be done for negative reasons and communicate negative things, like “we need to show how successful we are”, or “I care more about pleasing all these guests/family than about your future financial security”, or “we want to ‘honor’ all these people with invitations and extravagant gifts so they’ll feel like they owe us something” or even just “we didn’t put a lot of thought into this and just let the wedding industry push us around”. The size of the wedding also communicates something, and this has cultural and religious ties. Small / destination/ courthouse / elopement weddings say something about how the marriage is mostly about the couple (and perhaps their closest friends or family). Bigger weddings can communicate that marriage is more of a community event, that it’s a bringing together of families, and that it’s the responsibility of this community to help uphold this union. Different couples are going to end up in different places with regards to those perspectives on marriage. – Parents/in-laws – How much say do they get? If they’re paying, they probably get more say. To what degree do you defend your wedding as part of your marriage – something where you and your spouse are in control, and parents need to realize that there are boundaries and a new family unit? To what degree do you concede to their desires to express their love and care for you (maybe in not the ways you would have chosen) and to affirm the extended family relationships? – Finances. Even if you really want to have a big expensive wedding and have positive reasons for it, maybe it’s just not feasible. Then you have to think about what compromises can be made while upholding the valid and positive things you wanted to achieve with a big wedding. And of course there aren’t necessarily hard lines here, people can have lots of motivations for their decisions. Also, there are always going to be people you can’t please – you can decide to have a frugal wedding for good reasons and still have some guests who get all offended and think you’re cheap, and that’s okay. I just think it’s important to think about why you’re making the decisions you are, how to prioritize between the messages you’re sending and who you’re sending them to (especially when they come into conflict with each other). And I totally agree that people should take a hard look at what the wedding industry is trying to sell them and not just go with the ever-more-expensive flow. We had a long discussion about whether to have a frugal wedding stating that there are other, more important things than throwing a big party that only lasts for a day, or to have a big party saying marriage is an important and significant event worthy of great celebration. We came down on the side of spending more (~$20k), because we wanted to communicate the significance, and to involve our community (friends/family/church) in our marriage. Parents kicked in ~$15k and that definitely played into our decision. They wanted to have a traditional wedding (so by going along with that we affirmed their desire to give us this gift). If we did it on our own dime at the time (age 22, fresh out of college), it would have definitely been more frugal! We probably would have still tried to invite as many of the same people as possible because we wanted to involve our community, but would have gone for cheaper food and held it at a park or something. If we did it now (age 29, ~170k combined income), we’d probably do something similar to our actual wedding (~20k), though we’d probably cover more of it ourselves. We’d still accept something from our parents because we want to affirm that relationship (and our parents aren’t too pushy, so we don’t feel a need to draw a line), but we’d try to split it so that we paid for more, maybe we do 15k and they do 5, and encourage them to save the money for retirement or for my sisters :). Thanks for sharing! If your parents can afford to pay for most of it, then more power to you guys, seriously. Both my parents and my parents in law are not wealthy, therefore, I didn’t want to burden them with our wedding. When I graduated from college, I was already anxiously trying to pay them back for the $40,000 they spent on me those for years. There was no way I could ask them to pay for our wedding. I felt too bad. Sam, you could write about how much a couple should spend on their honeymoon. That would be interesting. I dug around a little and saw someone say the median was $15,000 which is better than $33,000 but still much more than the rules allow. So, 50% of weddings in the US cost less than $15,000. My wife’s parents paid for our modest wedding. They called in favors for a cake and food. We did the decor ourselves and with family friends. An old friend of my family DJ’d. It was a few thousand dollars, I think. The ring was about $2500 (which seemed ludicrous but was under your car rule). That was 13 years ago. We spent what we had saved for the wedding on a honeymoon trip. I would’ve been happy to visit the courthouse instead. It was a great way to start. Gave it an honest try, but couldn’t do it. I am still planning right now, but as much as I want to keep cost low, it will be in the mid to high 30k range. With large families for both myself and my fiancee, 150 guests is about as low as we can go without offending close friends and family by not extending an invite. For reception, we looked at backyard style wedding to save on venue cost, but cost for catering, wine and liquor, plus chairs, table, cups, plates and silverware add up fast. At the end, the only option for me to significantly cut cost would be either 1) invite less people, or 2) have a ceremony but no reception. Oh and photographers are not cheap, but that I can justify because photos last forever. We will likely skip decor, center pieces, flowers, and have a cut rate part time DJ, but that’s like having a diet coke with a supersize meal. Better than nothing, but hardly frugal at this point. The only SAVING grace for us is our saving. Cash on hand so we are not going into debt for our wedding. Here’s to hoping the market will crash in the next 12-18 months anyhow, so at least I spend the money and get to enjoy, instead of seeing my savings vanish because of a market downturn. I had the crazy 50k indian wedding! And it was fun!! I specifically chose to have the traditional experience bc it was important to me and my husband. And much of the $ goes to entertaining guests and friends (like we pay for their hotel rooms, all the food for the 3 days, their transportation etc). My parents saved for years and that was their gift to me. My sister on the other hand was given a deal – my parents offered to pay for the lavish wedding or hand them money – she took the money! Luckily both of us were thrilled with our deals and as late ng as you’re doing things with consciousness and intention instead of getting carried away, spend what you want! *Raises hand* My husband and I are one of those under-30 couples who spent over $50k on a wedding (including European honeymoon, mostly booked with CC points though). It took us most of our year engagement to save for it but the only regret we have is how much we spent on flowers ($5k) since they went straight to the trash and I had no forethought to arrange donating them. It was the most awesome party/family reunion. We received almost half back in gifts but wasn’t anticipating that. I do think it is important for a couple to be able to pay for their own wedding! If anything I blame wedding-paying parents’ open checkbooks for the increasingly exorbitant cost! It’s like USA healthcare’s third-party payor system but in the wedding industry. Our wedding cost under 1000 pounds. None of our family cared about a big event. Ceremony was at the town hall, my cousin ran a pub so we had the reception there. Ring s came from the mall, the are just symbols after all. I think your advice on how much to limit your wedding expenses is a bit too harsh but I like your mindset on drawing the line of how much you should spend on it. Many couples planning out their wedding should high prioritize the financial aspect of their big day and know how much they can spend without going into debt or pay it off a month or two after their wedding. You don’t want this wedding debt to linger in the long term as newlyweds. Also one thing to point out is the social pressures of spending a huge amount for a wedding. You attend other weddings and/or see them on TV and how extravagant it can be. It puts the bride and/or groom to try and compare it to their own wedding and spend so much because they want to have that same type of wedding. Being able to look through that and face your own realities is what many married couples to-be should try to do. I live in the NYC area. One of my friends got married on the Bow Bridge in Central Park. That was followed by a dinner in a expensive restaurant for a few people. We had ours in the far suburbs, exurbs, I guess you call them. We still paid too much, and we had one of the cheapest wedding of all the people we know. One friend, whose parents are from India had an American wedding and an Indian style wedding (in America). both were wonderful, but the cost, well, I could not imagine. This scale of a change in weddings would take a cultural change. We’ve been married many years and our relationship is getting stronger. We had a civil wedding at a Chicago courthouse and had Chinese food for dinner afterward. Could not remember how much our dinner was but my biggest expense was a $500 engagement and wedding bands. Sam, the 50% divorce statistic that is wildly popular among people today is VERY misleading. It double counts the data. They count couples who’ve already been divorced. If you adjust for that, it’s actually closer to 33%. 50% of ALL marriages may end up in divorce but only 33% of all first time marriages end up in divorce. How much should one spend on a prenup, expressed as a fraction of the wedding cost? A prenup is to a marriage as a trust is to a house, it is a private contract that allows private parties to adjudicate their financial disputes, rather than defaulting to the State as an arbiter of “fairness” in the disposition of assets and financial responsibilities. So if preservation of wealth via frugality is one of the points of this article, one wonders why people skimp out on wealth preservers like prenups and splurge on depreciating assets like rings, rocks, and fancy dresses. I’ve been married for 38 years and think my wedding back then must have been about $15,000. We were both still in graduate school and both sets of parents chipped in. Both could afford to spend on the wedding and even 38 years later I look at the photos and am happy we were able to have a nice wedding. We too got cash as gifts that probably almost paid for the wedding. One other thought – if you are asking people to come from far away, and they need to spend for a hotel room and transportation to get to the wedding , you better plan on at least feeding them something more than a hamburger or crummy sandwich ! Having your respective parents pay for the wedding and receiving cash gifts is a double win! Congrats. 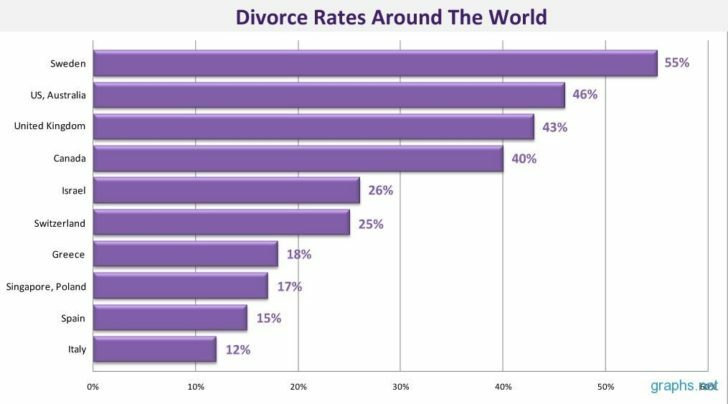 I’m curious to see data comparing the percent of total income spent on weddings to occurrences of divorce to see if there was a positive correlation. If there is a strong correlation vs just being two independent variables, then off to the courthouse we go!!! I’m one of your Midwest readers and honestly I can’t see spending the 1% rule around here and I’ve been to wedding where hot dogs were an option. Mainly because a wedding is in celebration for the couple with their friends and family. You are not going to have a 20 person wedding you are going to have a 200 person wedding if you include “normal family” such as Aunt/Uncles and cousins. I ran a quick calculation assuming about 200 people with Hot Dogs and Hamburgers as the main course on food and such alone I’m at $475. (Hot dogs and Buns, Soda, Cups/Plates, Condiments, Chips/dip, Salad, vegetable tray, Fruit Tray, Cake). If you thrown in a new dress and new outfit for the couple you are likely over your $600 average already. Now say you are going to get fancy and Borrow your Uncle’s pig roaster, a whole hog is about $300 right now half of your budget. Add in Bud light 100 cans is going to be another $100. Don’t have a backyard, have it at a local park. Renting the Open shelter at my local county park, that is 1/4 of your budget at $150 so serving both hotdogs and hamburgers now puts you over the $600 budget. I do think that $33,000 is too much. But I see a good budget for a low cost wedding needing to be $2000-3000 at least. Again assuming you actually want to celebrate with your friends and family. Good thing there are 4 other wedding spending rules to follow! Seems like a lot of folks are focused on the 1% rule, which makes sense since it is first. But if a couple have known each other for 5 years before getting married, then $5,000 should cover the cost. Wow so I usually am in line with most of the guides you post, but we went way over on our wedding due to our in-laws! We had 215 people at our wedding 3 years ago and the total cost was ~$75k with 95% paid for by the in-laws. Probably spent another $10k on a honeymoon in the Amalfi Coast and I flew us first class via credit card rewards. Wouldn’t change a thing but completely recognize the fact that getting married for us was a net positive financial event. Now that we have a 7 month old daughter we are spending more money than ever before. It’s amazing having a kid but my life got significantly more expensive. We just bought a house and went from a small city condo to a 3k sq ft place in the burbs. Thankfully the net price difference was under $100k although we spent $75k on furniture & renovations. We’ll both likely need new cars within the next year or so. PS You’ve written multiple times about your GS experiences but you were always vague about your precious role before retirement. I believe you said your severance is now complete with them? If so any future posts detailing your last few years moving up the corporate ladder? Well done getting your in-laws to pay for 95% of the wedding! $75,000 is a lot of money. How did you convince them to do it and did your parents not want to help? Agreed it was excessive but my in-laws were set on a big event for their only daughter, so I wasn’t going to complain! My parents threw a big rehearsal dinner but aren’t within the same means as my wife’s parents. Made for two unbelievable nights but if it were on my dime it would have been a much more low key event! Here’s the next question: did your in-laws buy you guys a house too? Seems to be a common progression for many folks. The realtor in SF said 70%+ of her first time homebuying clients had homes paid for by a set of parents. Haha, the house was all on us although we did get some small housewarming gifts from both of our parents. I’ve been fortunate enough to have a successful career so far so we want our parents to enjoy themselves and retirement. Now that you’ve had a couple questions, are we going to get a little more of a “tell all” of your last few years at your employer? Sure it’d be very interesting to many of your younger readers that are trying to move up the ladder. Cool. I think I told all in my severance negotiation book actually. My wife and I both made six figures at the time (still do, but earn more now). We got married in Maui. Her ring was not a real diamond, we used hotel points to stay in Lahina for four nights, airline points to get there, and had a free place through my work in Kapalua Bay, which was also our wedding venue. The best part, we didn’t invite anybody! Wedding Dress: Used from another bride $150 maybe? We did the entire thing for under $5,000 including her ring. Everything else was just from our vacation fund. I got off easy, and I was extremely happy with our wedding. My boss even gave me a nice gift card to a fancy dinner, which helped save us even more. A bunch of friends in our group are now going through second marriages, and I couldn’t be happier knowing that we barely spent any money at all compared to their first $50k plus weddings. I’m on the no spend wedding boat (possible bias as member of FIRE community). That said I’m also Asian. In Asian cultures and people who come from wealth (#CrazyRichAsians), weddings in Asia are basically this gigantic show to display class, taste, pride, prosperity, and mostly face. So if your Dad is a big time President/VP of a public traded company (like my cousin’s Dad) then her wedding was 500 ppl, with Rolls Royce, Vera Wang, decorated to the 10s, and half the guests were her Dad’s business associates. I imagine old monied dynasties in New England are the same with newspaper announcements of their sons and daughters merger I mean engagement. Back to reality tho, I’m just a regular peon, so I definitely don’t have that added pressure – livin’ my hippy west coast peasant life. I married later than most. I was 35 and my wife was 31. I was an executive at a large conglomerate at the time and the wedding invite list was starting to become very political in terms of who got invited and who did not. The projected costs were equally daunting and my bride and I knew we would foot most of the bill because our parents were on fixed incomes and this was not a responsibility we wanted to pass off to them. In the end, we said “screw it” and instead of a big wedding, ran off to Maui to get married. I used Marriott points to pay for the flights and a 2-week honeymoon. I think the minister and flowers cost us $300 and the wedding photos and album were another $300-$400. My parents and mother-in-law flew out and we all had a great time. When we returned, the office threw us a post-wedding party which cost us nothing. I know that isn’t for everyone but it worked out great for us! Smart wedding hack! I totally hear you on the stress of figuring out who to invite. I said screw it as well and did a 16 person wedding on the beach in Oahu. I’ll write about it in the future. What’s even cooler is we went back this summer to celebrate our 25th wedding anniversary. Again, used Marriott points for the flights, car rental, and a stay at their hotel in Wailea. The hospitality was awesome and we had another great experience. Our wedding minister came from the United Methodist Church in Lahina. He is no longer there and now serves a big church in Honolulu. We went to church services on Sunday morning and really enjoyed it. The church is small, quaint and right on the ocean and the people are just the best, and most down to earth folks you’d ever want to meet. It is always hard leaving there so Sam, I completely get the motivation you have to go back and live there again. 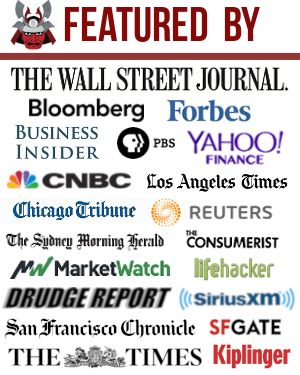 I understand that the purpose of this article is much like your article on 10x investment consumption rule. The idea is to challenge conventional norms and etc. But with that said, I think $1k for a wedding is definitely skimping on a wedding. Sure some people would be happy to have a few guest and keep it small. That said, I know a couple of my friends who tried to keep cost low, but the venue itself would cost more than $1k and these are couples are ones who had Chipotle or the Habit Burger (nicer fast food joint) as food for the reception. (one couple got married in a park, the other in at the church where they work at). Perhaps adding all your points together would be a better proposal? On the other end, I think spending $50k on a wedding or more is just ridiculous. Both mine and my wife’s parents spent a fortune on our wedding. It was the “trend” back then (can’t say that I agree with it). Times have changed significantly and I wouldn’t have mind to start the change myself back then if I could. Do you share how much that fortune was! And do you feel obligated to pay them back? My wife’s family paid for 90% of our wedding and thus, we avoided going overboard on our own dime. Our costs included airline tickets to fly out to NorCal, a wedding gift for each other ($150 each), and some new dress shoes I’ve made extensive use of since. I have to imagine most people would find your recommended budgets to be difficult to stick with on their special day. I completely agree with your numbers, however. But I’m likely in the extreme minority. However, looking at that money as an investment changes the picture. At the extreme, if going very cheap on a wedding sows a bad seed in the minds’ of your significant other and his/her family, it could go a long way to perpetuating the 50% divorce rate you cite. If you view that $10k-25k as an investment bearing fruit through a happy marriage, it changes the calculation. Happy wife, happy life. That’s my story and I’m sticking to it. If your in-laws can pay, then that is great. No sweat off your back unless you feel obligated to repay them? My in-laws are definitely not wealthy. I was actually classify them as lower income, so I wouldn’t have allowed them to bed. No obligation to repay. My wife’s mother set aside money before I had even met my wife to pay for a wedding. Initially, I preferred the courthouse route with close friends and family (~20 people max) but knew it wouldn’t fly. Too many folks wanted us to have a wedding. I’m thankful we had this wedding in hindsight because it was at a gorgeous vineyard east of Sacramento. We got all the beauty and allure of a wedding in Napa Valley at 1/3 the price. We looked at each other in horror; “less than $65k” was the lowest possible option?! Needless to say, we left that expo SO quickly. Manhattan is truly amazing. Anybody who says San Francisco is more expensive than Manhattan has clearly never lived in both places. Maybe people in Manhattan simply have too much money they know what to do with. But I suspect the bank of mom and dad is very strong in this wedding spending arena. Yup, 50% of all US marriages end in divorce. The other 50% all end in death. On that cheerful note, what I see here in New York is large weddings where the bride and groom tend to get more in cash wedding gifts than was spent. I’ve been to some real blowouts since I moved here, of course, there is a cost. Hi Sam, I do think your rules are a bit harsh, but a good wake up call for someone who is considering overspending on their wedding. At the end of the day, it really depends on what is most important to the couple. For me, I wanted nice photos since I will be looking at those forever. I had a professional photographer for the ceremony only, and family members to cover the reception. I had my wedding 2 years ago and it cost about $13k, including the honeymoon cruise and wedding rings. It was on a beach and reception at a tiki restaurant. -Have a destination wedding. It will drastically cut headcount and people you barely know will be less likely to attend. -Cheap/ free venues include churches, city hall, parks, beaches, and other public areas. -Having a reception at a restaurant is cheaper than catering. And the food is just as great. A plus if the restaurant is already themed/decorated! -Buying fresh flowers the day before/day of is not expensive if you aren’t picky about colors. Also, Costco has a delivered wedding flower package. I made my bouquet out of fake flowers weeks before the wedding. It was more expensive but I have the bouquets in my house now! – I bought a dress online for about $200 from China, made to measure. Wedding dress markups are ridiculous since they probably all come from the same factories anyways. – DO NOT ever tell vendors that you are buying something for a wedding if you can help it! This includes the baker, and restaurant venue, if you can help it! Thanks for sharing and I hope you had a wonderful wedding. Sounds like if you strip out the honeymoon and engagement ring, your wedding class was pretty affordable. I am curious to know who paid for the wedding if you want to share and if other people want to share. We paid for our own wedding. We paid for the wedding but my parents surprised us after by giving us money for the ceremony and reception (maybe $6k total). His parents paid for the next day brunch (around $600). Another thing to consider is that if you allow others to pay, they may feel entitled to control the wedding, such as choosing vendors, inviting guests, etc. It’s always trickier handling in-laws than with your own family. Weddings are already emotionally and financially tricky! Indeed. We wanted to keep things simple and control what we wanted. So we paid. Most friends I know pay for their wedding, and their parents might offer to pay for that brunch or maybe rehearsal dinner. Super savvy advice. Yeah, it seems tight, but it is completely legit. Quite frankly, your happiness depends on it. Why fake it? Don’t spend what you don’t have. My husband and I got married in Vegas, invited 50 folks and had the reception at a restaurant in walking distance. We paid about $6k for a turn key wedding, photog for the day, and plated brunch meal, restaurant service/waiters, unlimited wine, 2 piece music, cake. Admittedly, we broke the 1% rule, we spent more like 5%, but we paid out of pocket. And it wasn’t stressful to do it. We make about 320k combined and we are FRUGAL. It was a “traditional-type wedding.” It was outdoors in a garden, with a priest, an aisle, 50 guests, etc.etc. It was stress-free planning bc Vegas folks are in the business of planning. And our friends and family only needed another excuse to go to Vegas. We saw them for 3-5 hours and then let them do their thing in since city. Oh and ladies, the dress. So, yeah go ahead and Pinterest the dresses that u like. Go to a salon, try them on. But don’t buy a thing. Walk away…just like at a car dealer. Then…based on what u learned at the salon about your likes/dislikes…buy your dress online and take it for alterations. Think of it like going into Best Buy to eyeball and feel a new TV or phone or knick nack and then going home to buy the same thing on Amazon bc it’s cheaper. Great tips! $6000 sounds good. I know so many couples who get in massive arguments due to wedding planning. Counterproductive! If weddings can only cost 1% of income, then only millionaires would be allowed to have the sort of wedding that most people now consider typical, with venues, hotels, catering, clothes, dress, flowers, alcohol, limos, photographer, DJ, etc, etc. If you’re limited to just a few hundred dollars, then you’re basically getting the paperwork filed, the priest, a nice outfit from TJ Max, a few plates of sandwiches from Costco, and a couple cases of Bud Light. I don’t think it’s far-fetched for only millionaires to be able to spend $33,000 or more on one day. What I think is far-fetched as a household making only $60,000, expecting to pay the majority of their annual after-tax income on one day. The consumption madness has to stop. Especially with the divorce statistics. Get a friend to be the photographer. And married in the off-season. Keep the wedding party small. These type of elaborate events should only be for people who can afford it. I love how you challenge people’s way of traditional thinking/spending. So many creative spending rules! I cringe whenever I hear about couples that go into debt on a wedding they can’t afford. HA! I love this. When we started planning our wedding the costs were quickly getting out of control and the stress was through the roof. Once things started getting north of $20k my wife and I took a step back and decided that it wasn’t what we really wanted, and the spending didn’t line up with our values at all. In the end we went with a ~$4k wedding with <20 guests and it was absolutely perfect, tons of fun and completely stress free. We knew each other for 12 years before getting married, well within rule #5. Contrasted with my brother-in-law's wedding which had 200+ guests and cost who knows how much for a marriage that lasted all of 18 months, makes me even more happy with our decision. There you go! Rule #5 in the house. I really cannot fathom spending more than $20,000 on one day. I also feel it is kind of embarrassing to celebrate us. I don’t understand how people can spend much more than $20,000 on a wedding in their late 20s and early 30s, unless, the couple simply isn’t paying for it. I wonder what percentage of parents pay for their kids weddings. It’s so much easier to spend other peoples money. This is an interesting stance, because you are so into cars. How can anyone spend over $20k on a hunk of metal? Some people value weddings this way and are willing to put their resources behind it. Personally I think your guidelines are unrealistic but a directionally correct challenge. Instead of 1%, would go with the 1/10 car buying rule + whatever you estimate will be received as cash gifts (ours was $16k) = budget. There is even an argument to go 2x or 3x on the 1/10th rule because you will buy more than one car in your life vs a one time marriage expense… but you are right that the point here is to get people to scale back the craziness to get ahead financially. Sounds too complicated. I think you would lose most readers if you put out that rule. The $20K hunk of metal on a $200K income will at least retain some value and can be resold. Spending $20K for a 6 hour long wedding never comes back. Given you guys already spent $60K on a wedding, it’s all good. This post is for folks getting married and their parents who plan to also spend big bucks. Can you share more about your $60K wedding? Who pushed for it, did all parents pay, your household income, whether your parents are rich? I have a feeling that only wealthier people have expensive weddings. But that might be too logical. Sam, your rule has 5 parts plus a bonus section and my proposal is too complicated? We are all aspiring samurai around here, we can take it! I used the car analogy because I am an automotive engineer and my wife definitely is a “does this get me from A to B” person. She would say a car gets old and rusty while the memories and pictures and videos of our wedding will retain value and pay emotional dividends for the rest of our lives. People have irrational passions about different things, and I hesitate to minimize how important it is to them by saying it is so much money for just a few hours. I actually don’t feel very defensive about having already spent the money. I’m a city hall or beautiful park kind of guy, but my wife and family valued having a big event. One of the key moments in me maturing into a grown adult was realizing that this wedding was not really for me. It was important to do something for the happiness of others, and while it felt like spending too much at the time, looking back now I don’t regret the money or even opportunity costs of that money. Our wedding was at our city’s main science museum, in the planetarium with stars projected during the ceremony and a rising sun as we walked out. During cocktail hour people could interact with the exhibits like a van de graaff generator. So, pretty fancy. My mom is a public school teacher in the suburbs to give you some idea of my background, but I did go to an elite private university on half scholarship/half parent savings so I’ve always had a stealth wealth lifestyle with 1% trappings close enough to touch. This wedding was one of few instances in my life where I felt totally 1%. Like other people describe, the event grew. It started because we knew we wanted the venue. We had maybe $40k saved at the time outside of retirement, but had great career prospects. It came with expensive food which my wife and I picked up, so that plus venue was $30k. My parents did the rehearsal dinner and some other things at maybe $10k. Her parents wanted a number of things, flowers and pictures and a band and whatever so they ended up spending somewhat more than mine. Perhaps I’m biased by a positive outcome and eventual wealth, while a recommendation for the median American should be different. My view is to spend dramatically on things you value, cut ruthlessly on things you don’t, and be self-aware enough to know the difference. Your article serves a strong purpose because many people are getting influenced into buying too much wedding. Ok, so this isn’t exact since my wife and her parents handled the expenses for the most part but I believe my wedding cost about $5k-6k…and that is counting the all-inclusive week-long honeymoon we took to Mexico. We both hate waste so we used our local church for the ceremony (free) attached APR for the reception (free) and decorations were borrowed or made. Turned out great. We got married in December and had a winter theme with pine trees, pine cones, and two great cakes (paid a friend’s mom to bake them). Who doesn’t love a house party right? So much more casual and easy-going versus having to dress up to a wedding and sit there and look nice. If one wants to spend more money, then they can simply make more side hustle money or wait several more years. 5 rules to choose from! Who says you can’t dress up for a house party? $600 for some Italian catering and drinks… Some cheap table cloths from Amazon and a few popup tables and folding chairs. I LOVE the idea of keeping the costs below $1000. I’m digging these rules. Especially after my own mother spent a bunch of money she didn’t have for my sisters wedding. It bugs me. Any possibility of asking your mom for the same amount of money she spent on your sisters wedding in cash? It doesn’t bug me because I want the money, maybe you misunderstood what I meant. It bugs me because I hate to see my mom spending money she doesn’t have. I actually help my mom out. Got it. You are a good son. Why do you think your sister accept so much money from her mom when she knows your mom isn’t doing that well financially? How much are we talking about here and will your sister’s husband man up and pay your mom back? Not “that” much. Under $10k for sure. It’s a complicated topic, unfortunately. That said, I’ve always been a believer in saying “thank you” when someone gives you something. You accept the gift and thank them for it, no matter what. So I wouldn’t expect my sister or her husband to feel sorry and pay her back or anything of the sort. They are also nowhere near the financial position I am in. Just pointing out how financially irresponsible people can be when it comes to weddings and it’s unfortunate. This is a good article with great advice. Option 6 – set your wedding date far enough out that you can save for the expenses you desire. Watching a cousin do this now and nothing makes me prouder to see he and his fiance make smart decisions (drive the old car another year, Living with roommates, cutting back on expensive social outings in favor of inexpensive ones) in the name of a shared goal. Good prep for the rest of their shared financial life. That is a great option! And if they are planning so far in advance for a wedding, then they must be planning for other things like a car, house, kids, and retirement too. That’s a great idea, but my only caution would be to avoid putting deposits down until you’re very sure your intended is going to go through with it — and that you want to go through with it. Many a bride to be has lost a couple of thousand in nonrefundable deposits after backing out of the relationship. One also doesn’t want the financial pressure to encourage going on with a wedding if they’re not sure. In before the bridezillas to grill Sam! Our wedding was at Jack in the Box and we bought a 50% off coupon with us. It was the closest place and we were hungry after the courthouse! $35 and leftovers! That was our lovely big day and I got no regrets :) everything is still honky dory thank goodness. For average americans this formula can’t fly. I think flowers cost $1,000 minimum. The cake I heard was from $400 to a few thousand, which is weird, because it’s just a white confection. The cake mix isn’t more than a few bucks and baking is passive since you just wait then pipe on cream. It’s lunacy! Fancy! I went to the grocery store the other day and saw nice bouquets of flowers for $10 – $20. Are you sure flowers cost $1,000? I also saw a sweet lemon meringue pie for $4.99. Buy 10 of them, and you’re still doing well. Lily do you have a sister? Wish I could meet a woman like you! Awesome. Wait a minute, this spending guideline is way too low. I propose adding all rule 1 through 5 up. Then you can use the sum. The rules are way too harsh separately. You’ll destroy the wedding industry. We got married in our 20s and even adding all these rules up, we would be able to spend only about $4,000. And that’s mostly from rule #5. Anyway, we went to the courthouse and didn’t have a wedding. We’re still married after 19 years so I guess it worked. The wedding industry could use come correcting. They charge craaaazy markups. So many vendors, even those not specialized in weddings, will immediately charge higher prices as soon as they hear the word wedding. Couples get ripped off way too often. The motel we are staying at was 68 last weekend, 172 this weekend, and 68 next weekend for a friend’s wedding. Oddly enough the bridal suite was only $20 more than a regular room… so we got that instead. Totally agree with not spending so much of your own money on a wedding. Three years ago, I wanted an intimate wedding with people that were active in our lives and that we truly loved. However, my in-laws and parents wanted to invite extended family and their friends. Fortunately, we’re Vietnamese and the majority of our guests were too which meant that we received money as gifts. We made $16,000 on the wedding after deducting expenses to entertain 140 guests. While I never met or barely knew half the wedding guests we made out great financially because the norm is for guests, as a couple, to gift $200. Good call on being able to make money at weddings due to the tradition of gifting money. It’s the same way in Taiwan. And many Chinese wedding banquet as well. The idea is to help a couple financially on their merry way, not saddle them with debt. Wow. That really would make the majority of people in this country have a 1k or less wedding. I had a big wedding for my first marriage which was fortunately paid by my now ex in laws. The total was over $45k. Indian weddings are outrageous with all the flowers etc adding a significant toll to the price tag. I personally did not enjoy it at all even if the person I was marrying was the perfect one (she was not). It’s almost a sign of boasting among the Indian culture that the parents are wealthy enough to do it. Some weddings are multi-day events. Yes, Indian weddings are quite a production. I love that desire to celebrate over weeks, instead of days. And they’re definitely seems to be an element of “showing off” to your business associates, family, and friends. I went to my friends brothers Indian wedding. I still remember the fountain of all you can eat shrimp cocktail. The wedding cost about $100,000, and they divorced 16 months later. Been to a couple of Indian weddings and yes they are an event! We spent about $4k on the ring and the Caribbean vacation in total and another 3k on everything else. Cost was split 1/3 us, 1/3 parents, 1/3 in-laws. I don’t understand the desire to spent so much money on a wedding for a single day. My wife and I did our vow renewal at Sandals Southcoast for our 10 year. That is the way to go. Cost was $250 bucks (plus we spent another $300 on 15 pics) + the $2,500 all inclusive vacation for a week (+miles for flights). Didn’t have to do anything really for prep – Sandals did it all and the pictures were great @ $20/picture. The problem is that the venue alone will cost $2,000 or $3,000, especially if you live in big cities like New York. Forget about catering and flowers on such a limited budget. Also, not everybody will have a backyard to throw a party and a 2 bedroom apartment is less than ideal for 50+ guests. I’m not sure you’re approaching it with an opportunity mindset. Any bethrothed living in NYC can probably find lots of opportunities for an inexpensive wedding. Though I didn’t get married in a HCOL city, I didn’t have flowers at my wedding and I don’t regret it a bit. A clever NYCer could get married at City Hall and then have a “family reunion” dinner party after at a swanky restaurant (the w-word always 5xes the price). It’s about creating priorities.